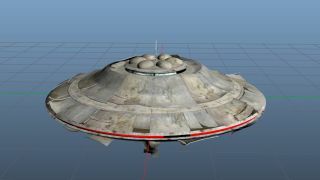 Some amazing work recently found a hidden UFO mission in GTA Online, the online component of GTA 5, and now we know how to trigger the event without hacking the game. However, the ability to trigger the event legitimately, in-game, has now been unearthed . Basically, you'll need to complete 600 resupply runs and then start a supply run between 21:00hrs and 23:00hrs, to get a crack at stealing some alien eggs from the crashed UFO. See GTA 5's UFO mission in action and find out how it was discovered. Be warned, as well that, this looks like a one-shot deal, so you won't get another go once you trigger it. That said many think this could be the start of more UFO related activities. Remember, the original Mount Chiliad drawing shows a UFO, egg - both now found - as well as an as yet undiscovered jet pack. Who know's where this is going? Especially as 600 sales is so much for a one shot mission, and people are already wondering if there has to be more?